Compare this young, unexpanded mushroom to the Shaggy Mane below. They start out looking similar, but develop very differently. 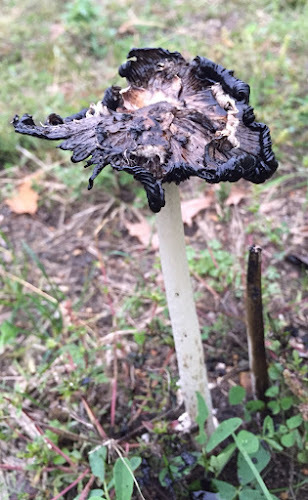 The Chlorophyllum mushroom develops into an attractive toadstool, while the Shaggy Mane dissolves into black goo. 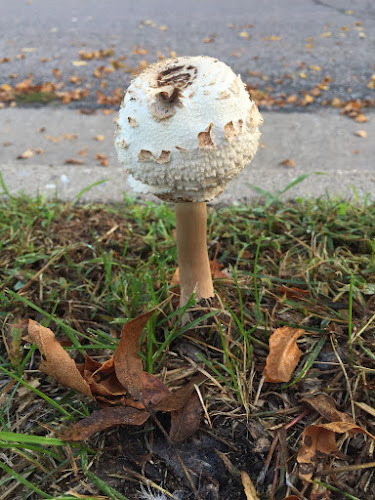 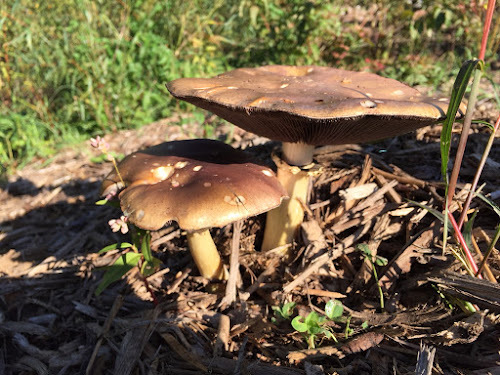 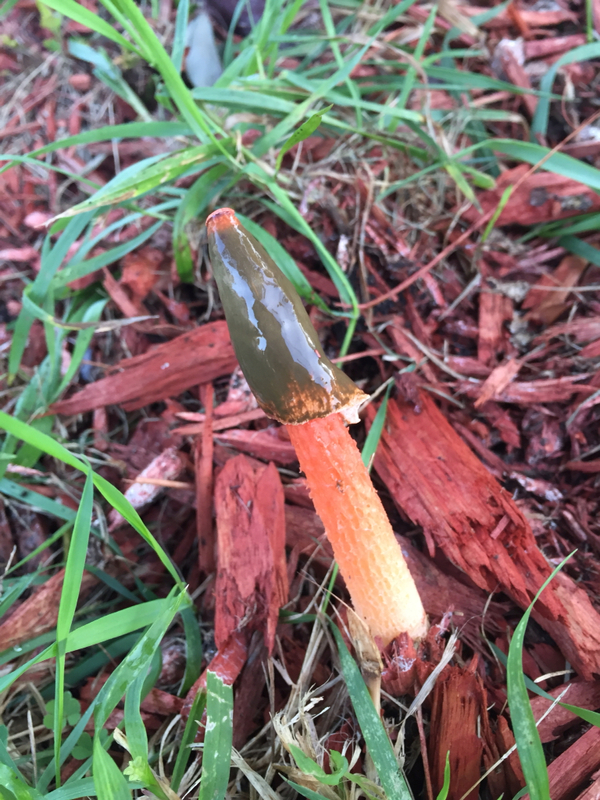 I found these mushrooms scattered here and there in lawns throughout my northeast Minneapolis neighborhood. Features include a whitish, scaly and often lined cap with a tan central bump. White gills that are free from the stem. White, shaggy stalk with loosely defined ring. 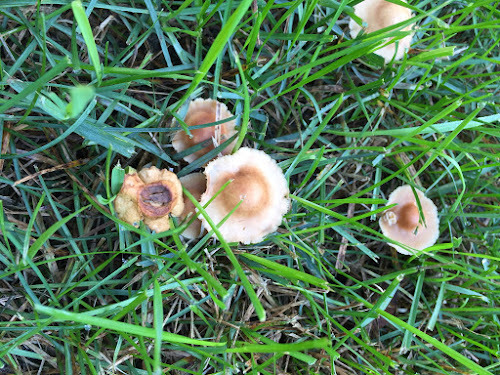 Growth in loose clusters in the grass. 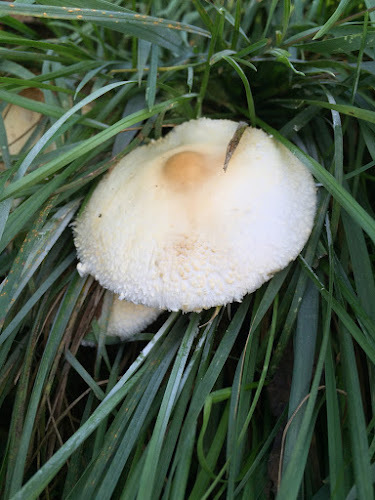 After a day or so, most of the scruff had worn off leaving a very smooth, whitish mushroom with a tan cap. I put the question mark after the name because L. cretaceus is described as growing in wood chips or garden soil, not in grass. 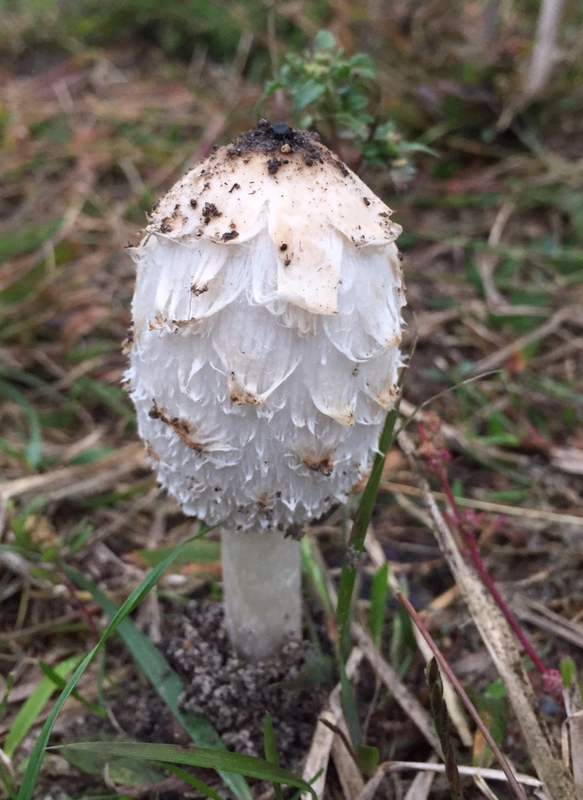 And I only found one description of L. cretaceus, at the Mushroom Expert website. 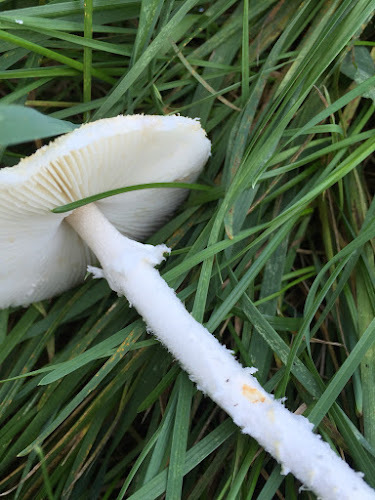 They are a few other leptiotoid mushrooms with a very similar appearance, but differ in small details.